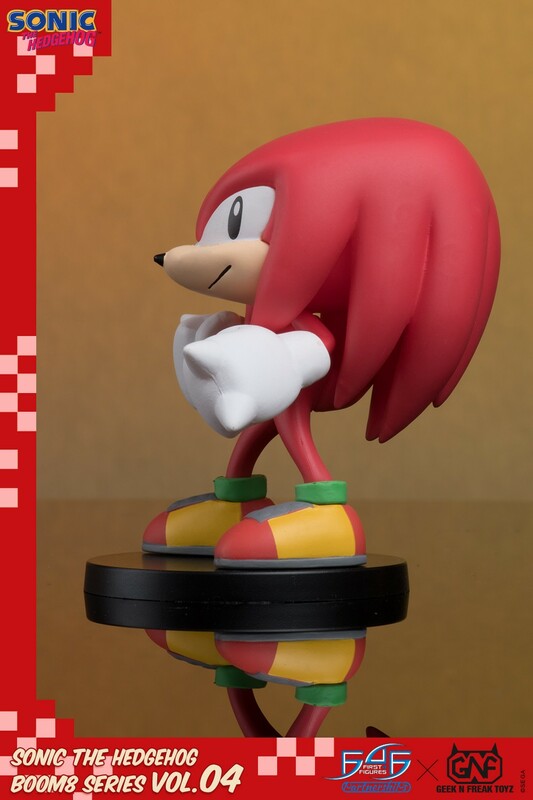 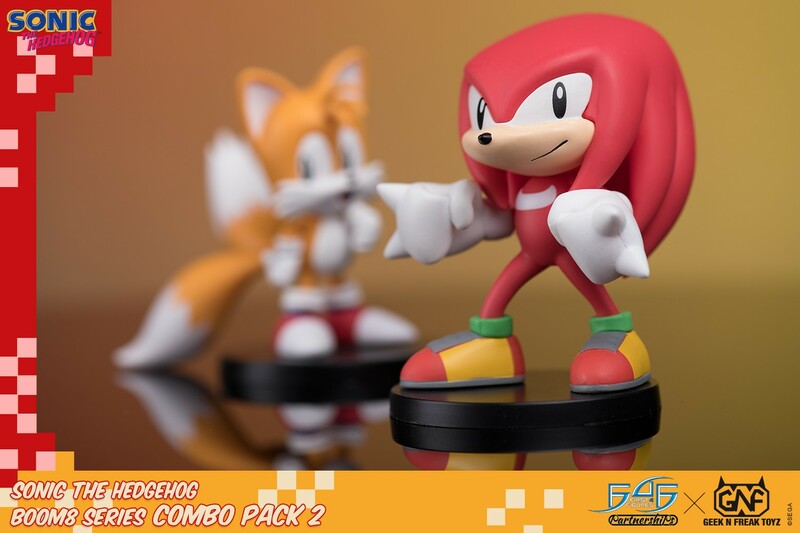 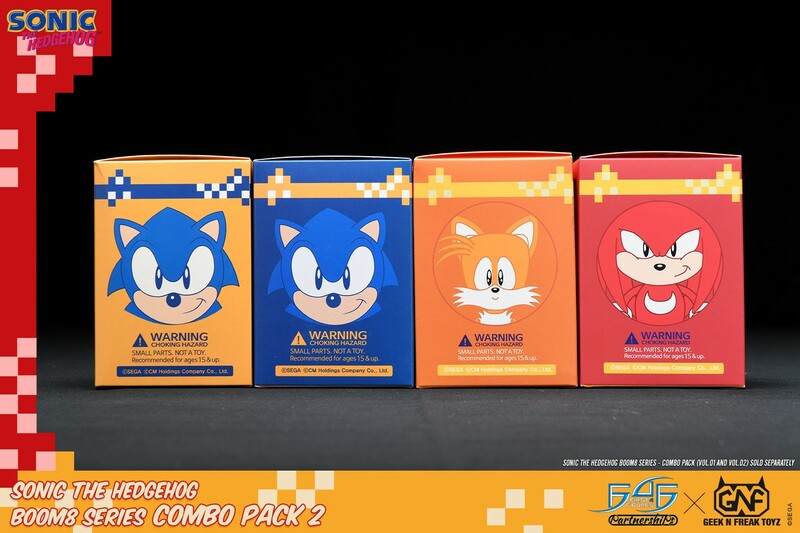 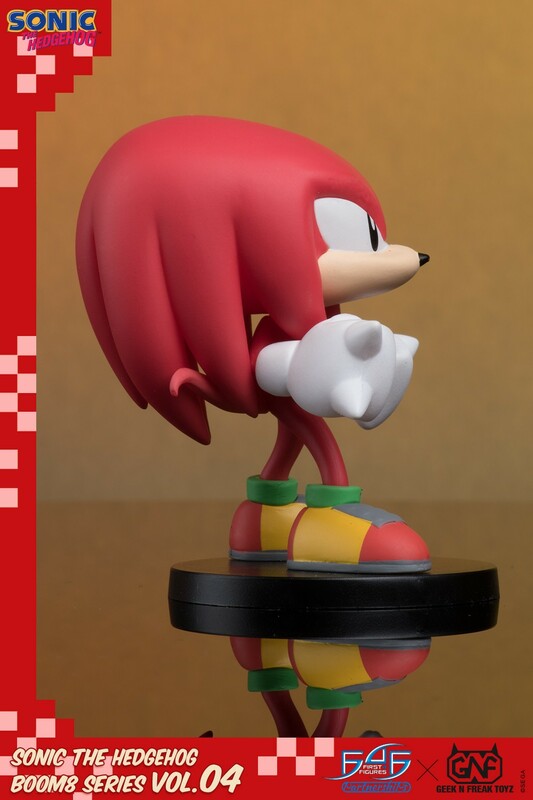 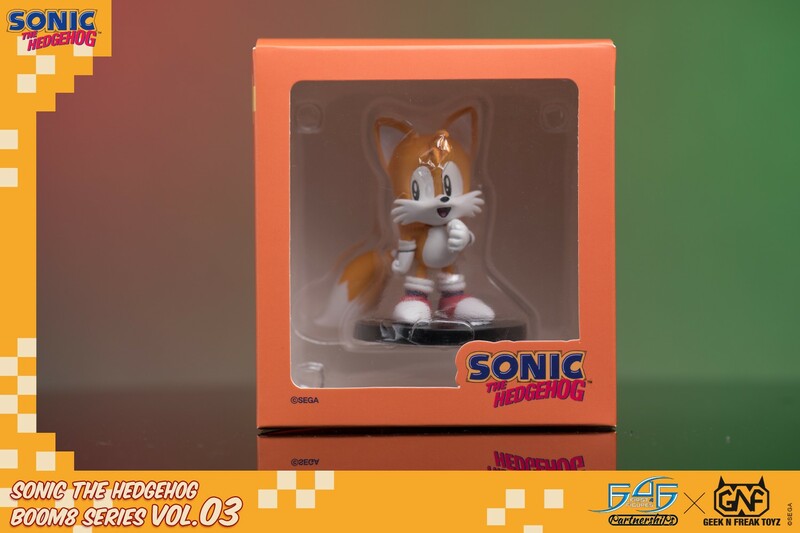 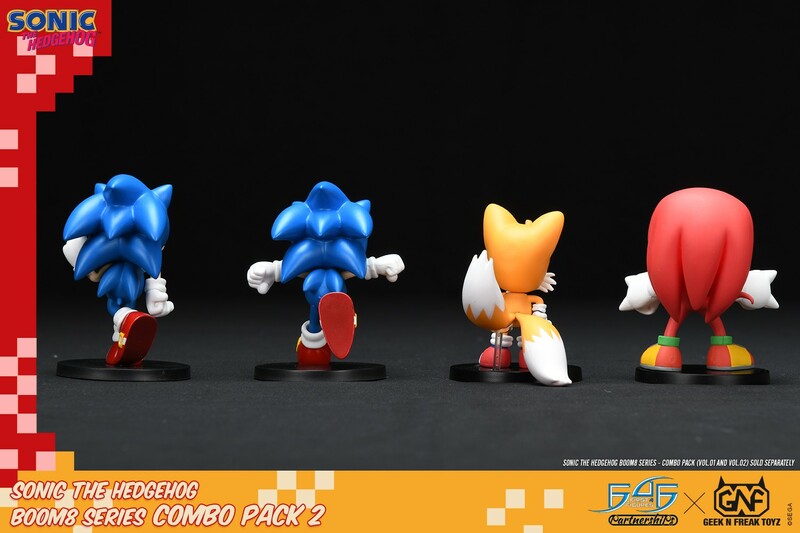 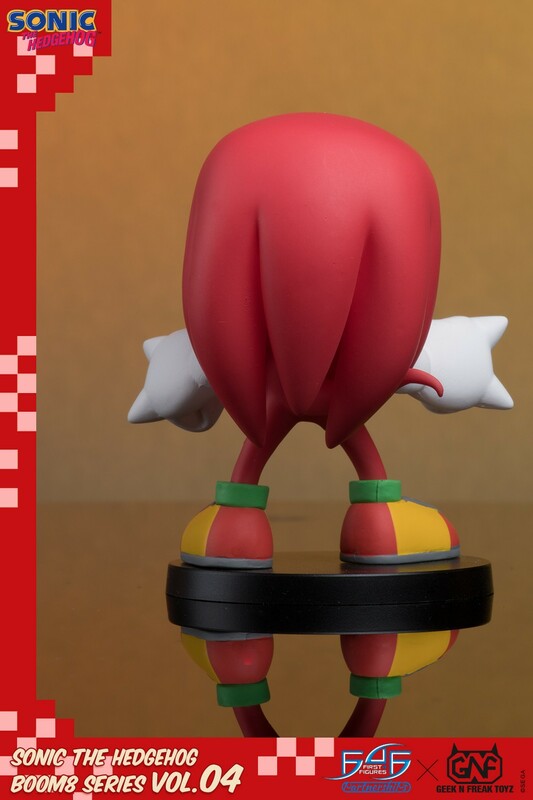 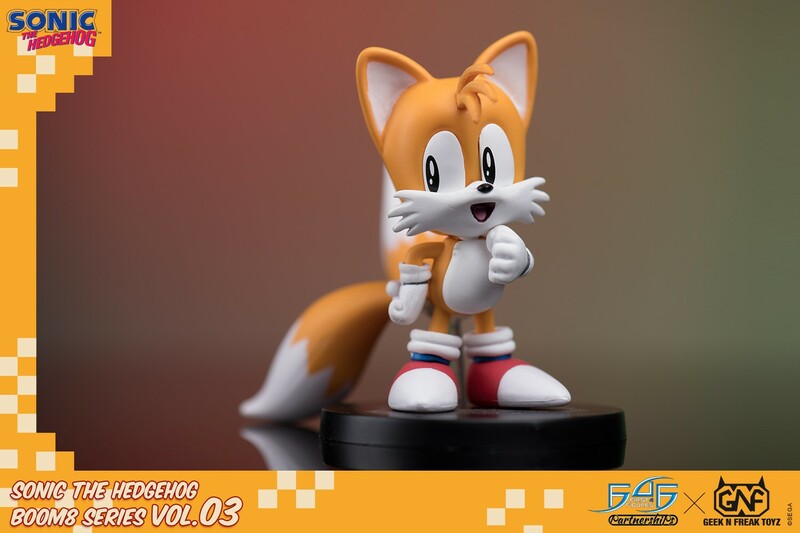 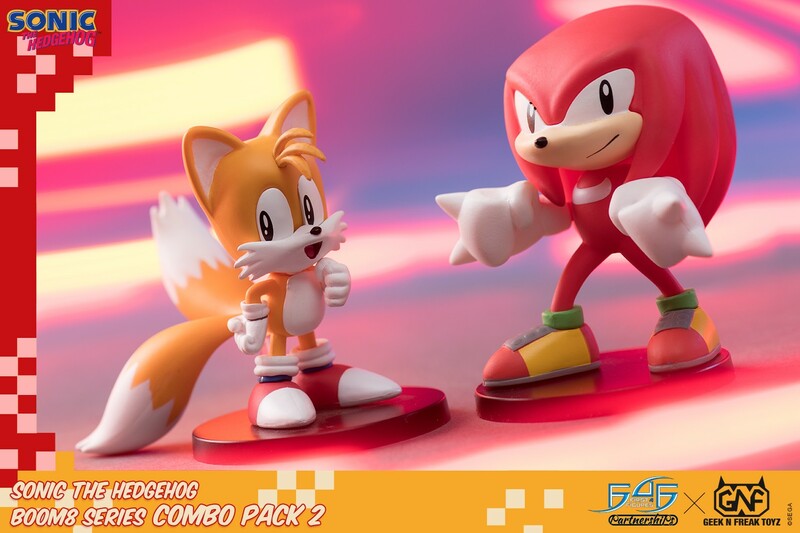 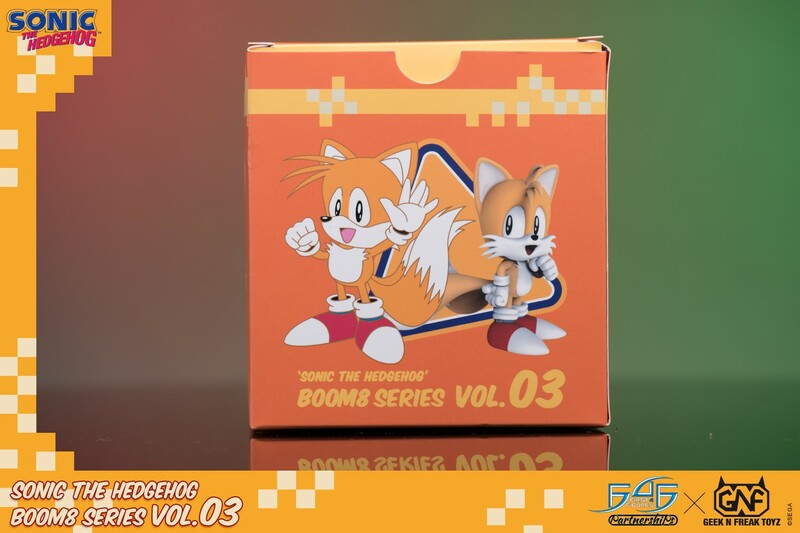 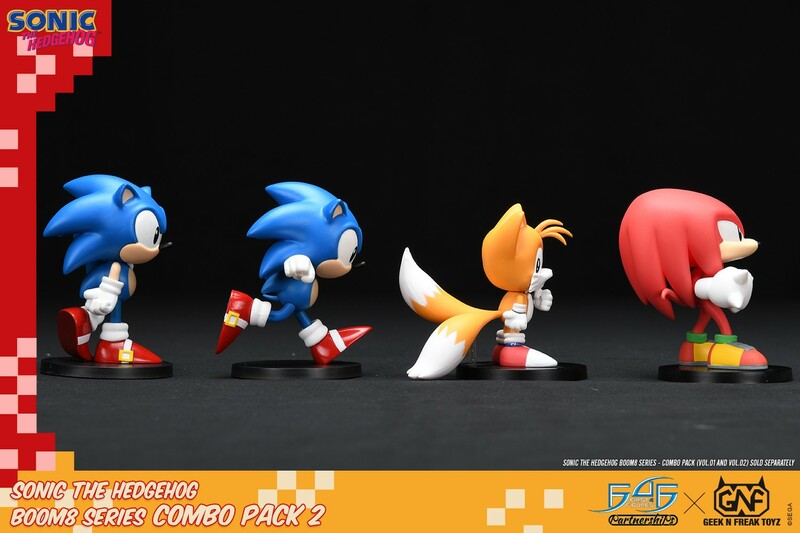 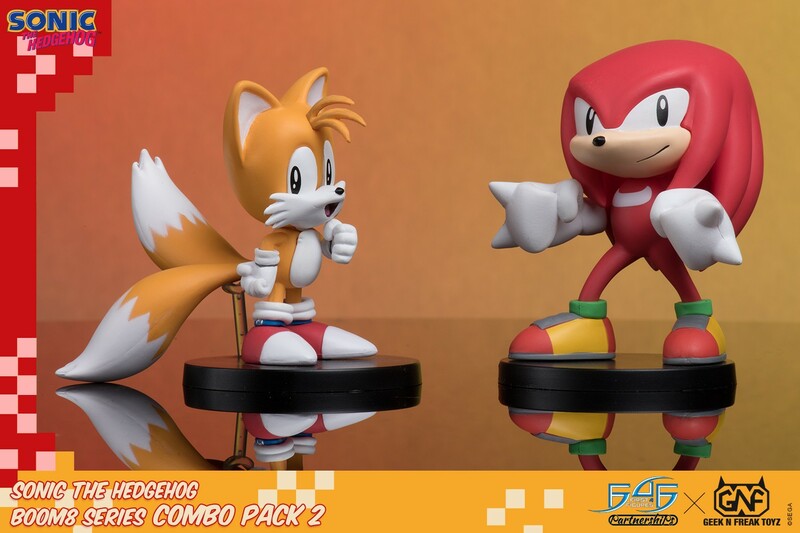 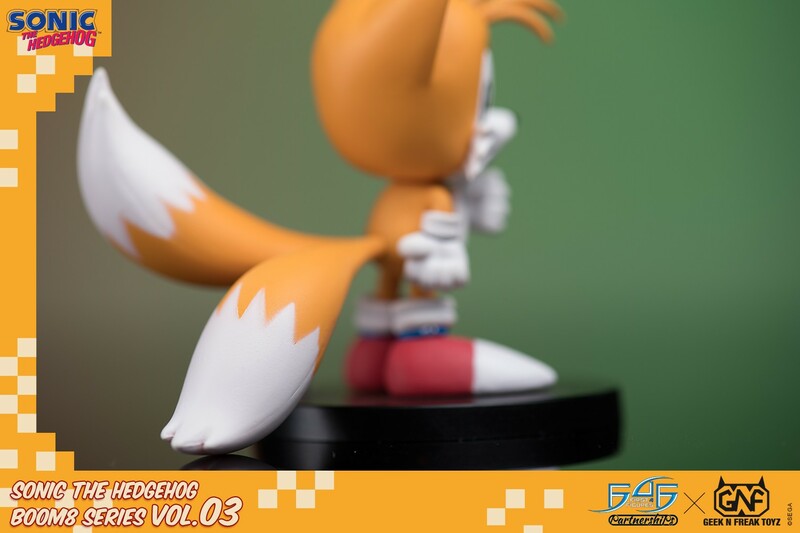 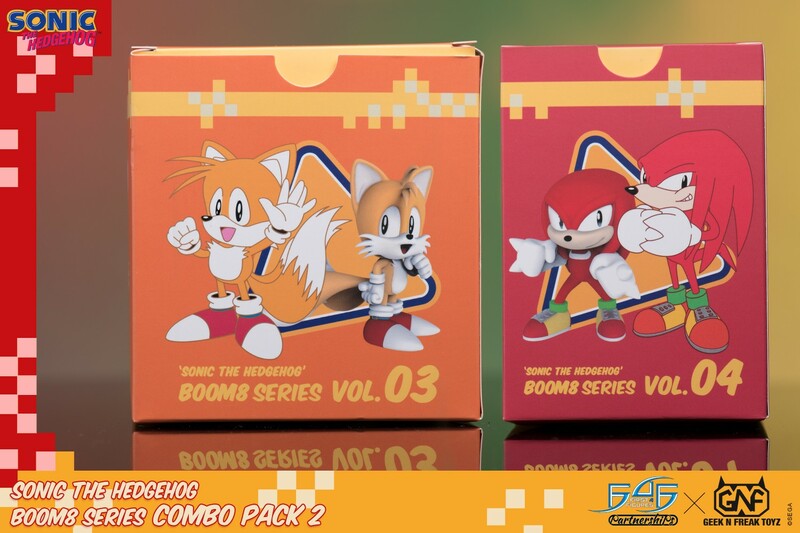 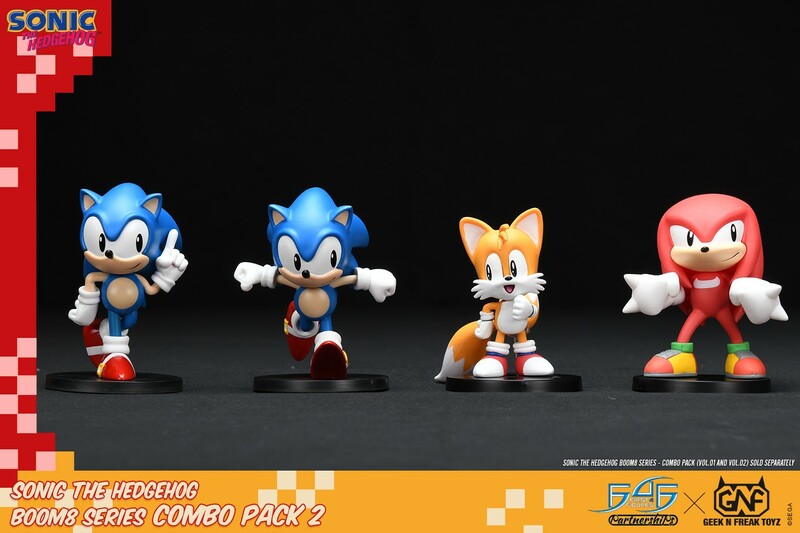 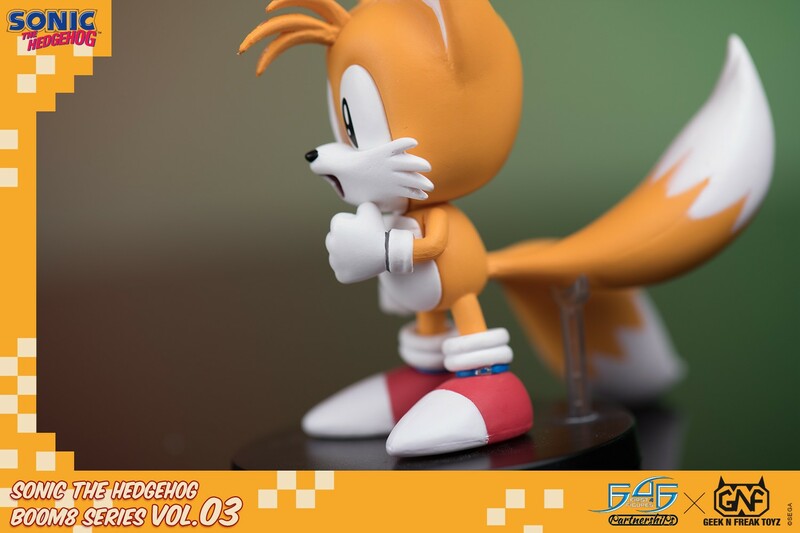 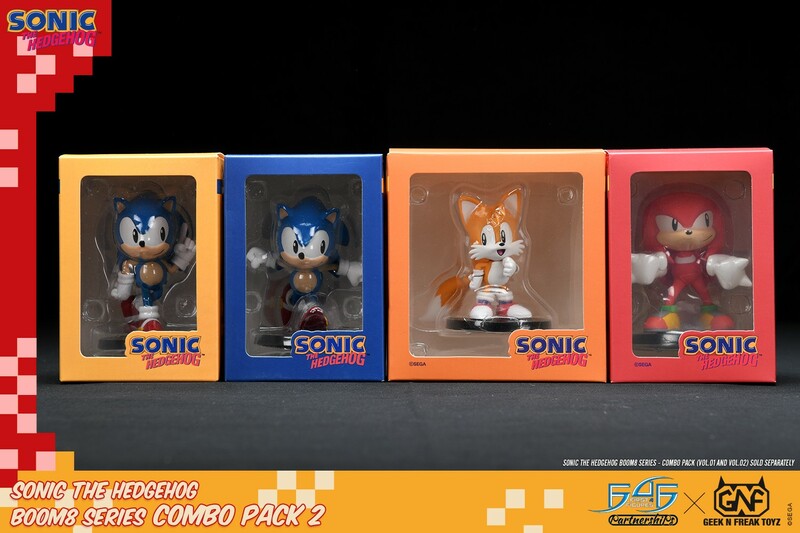 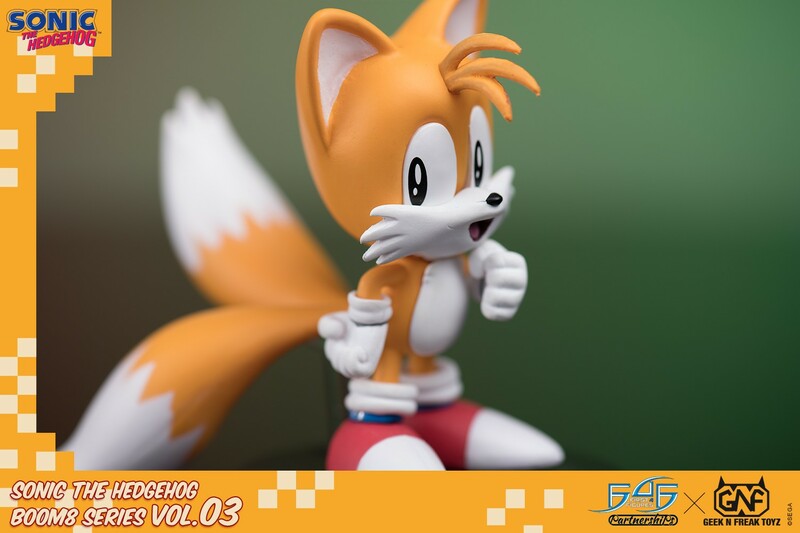 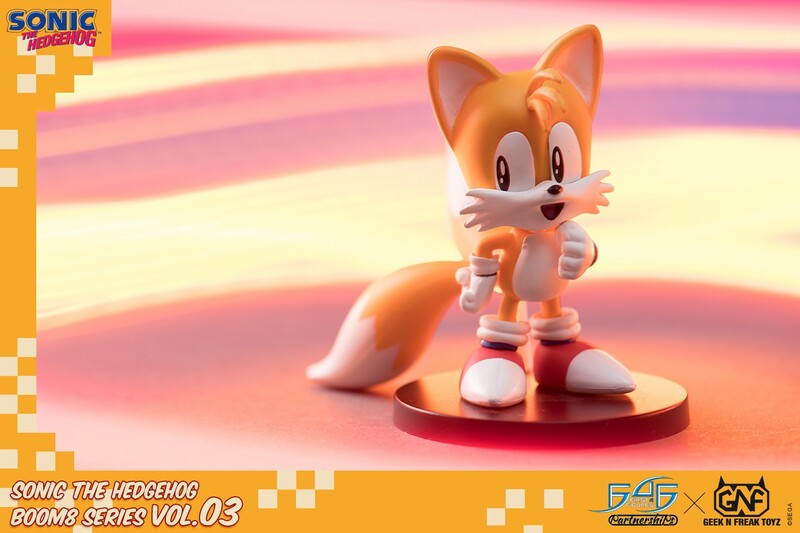 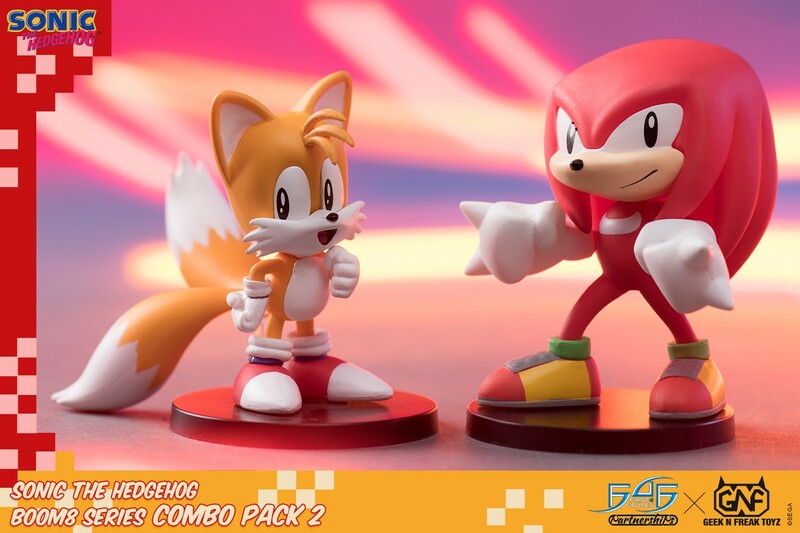 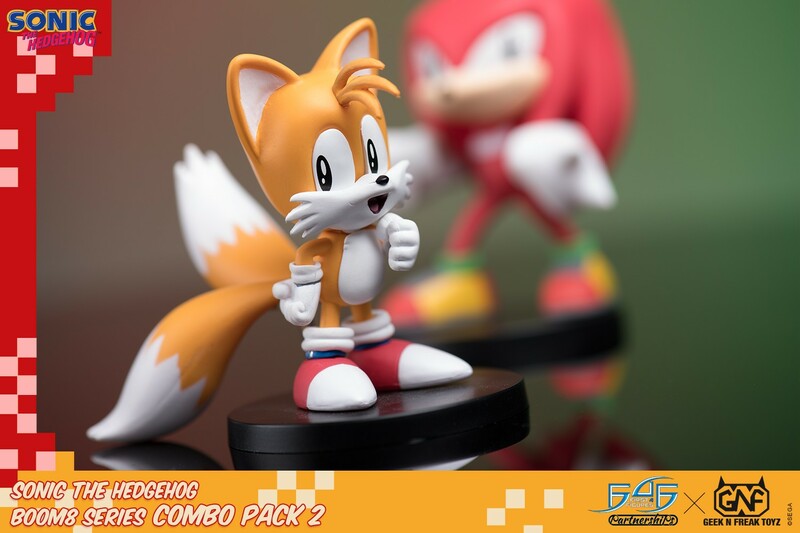 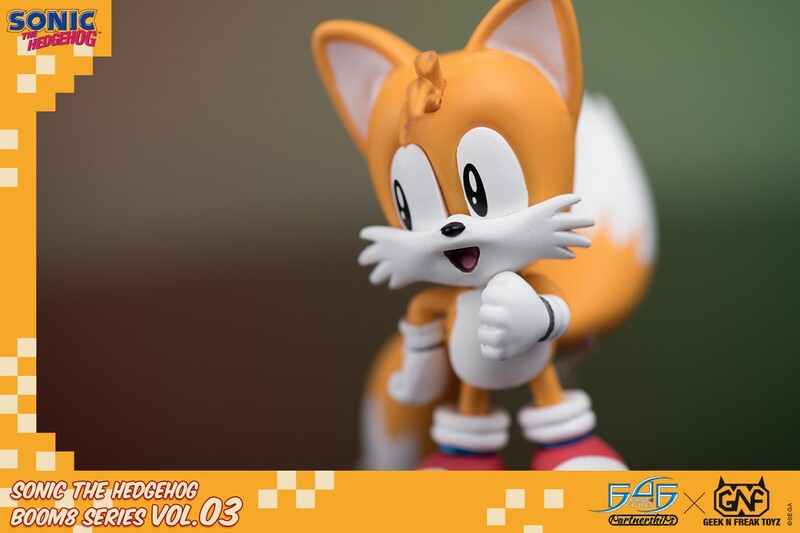 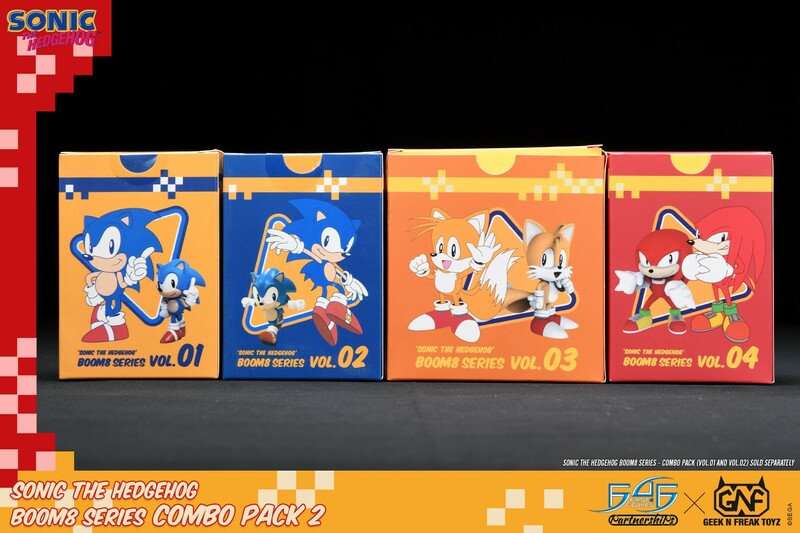 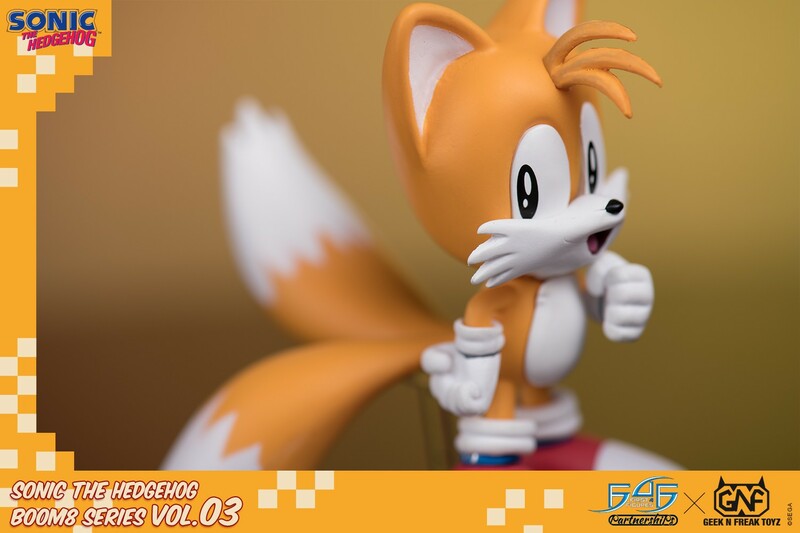 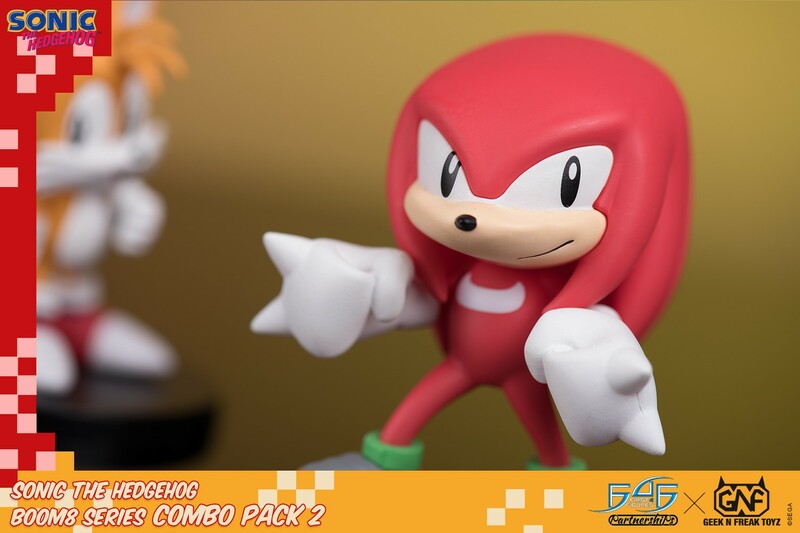 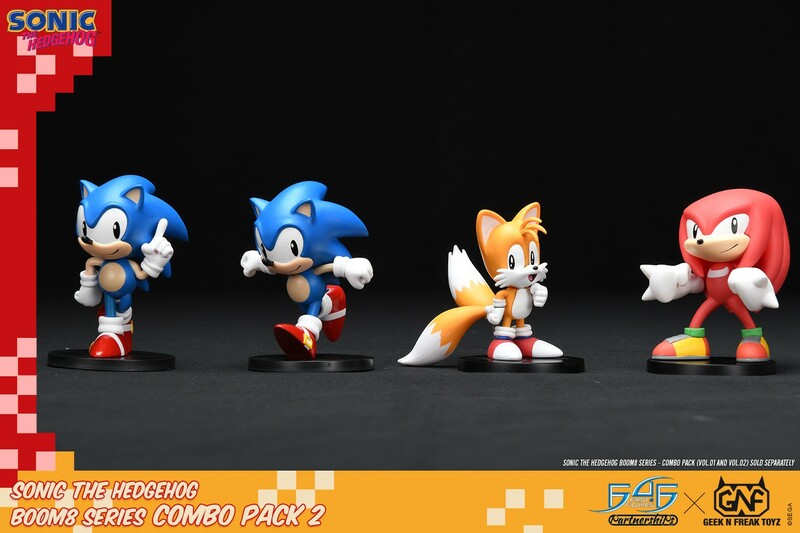 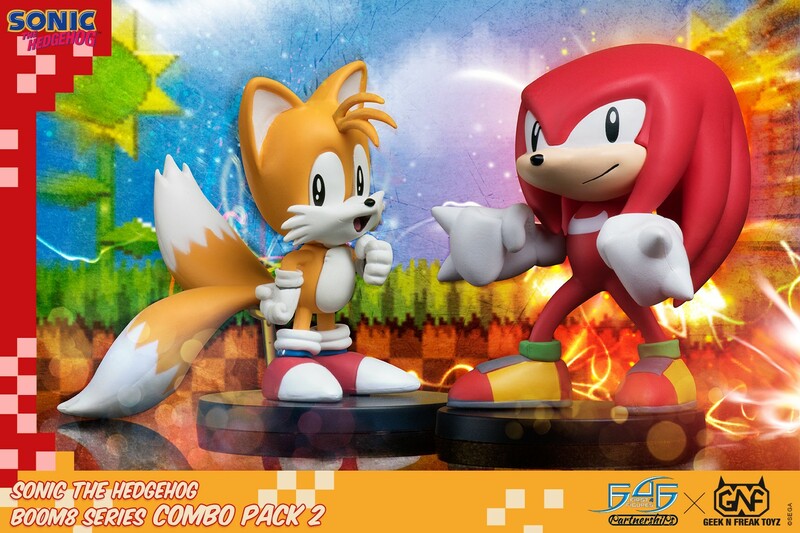 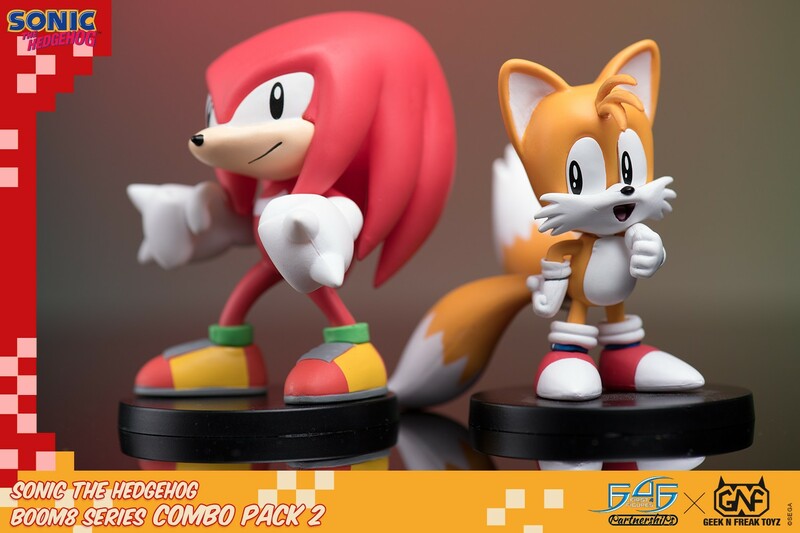 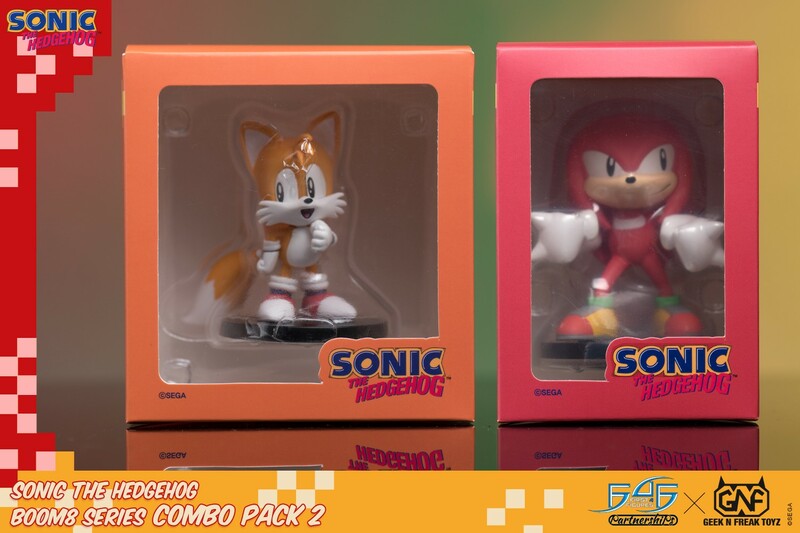 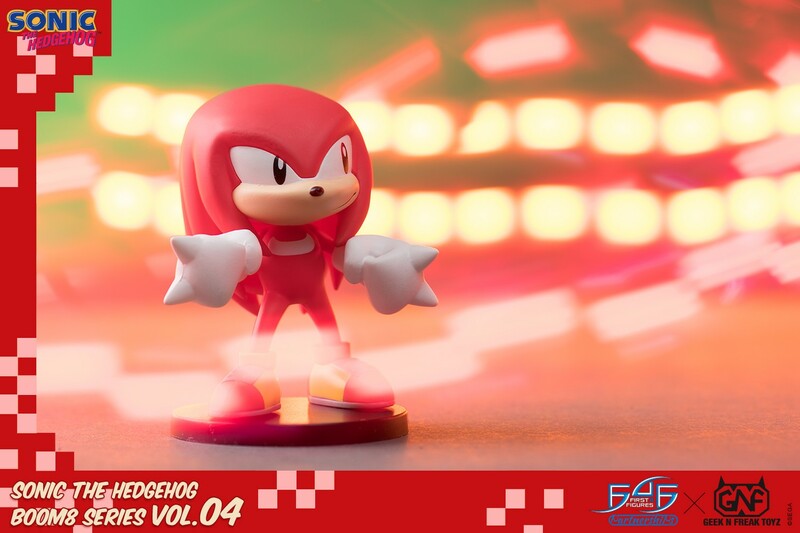 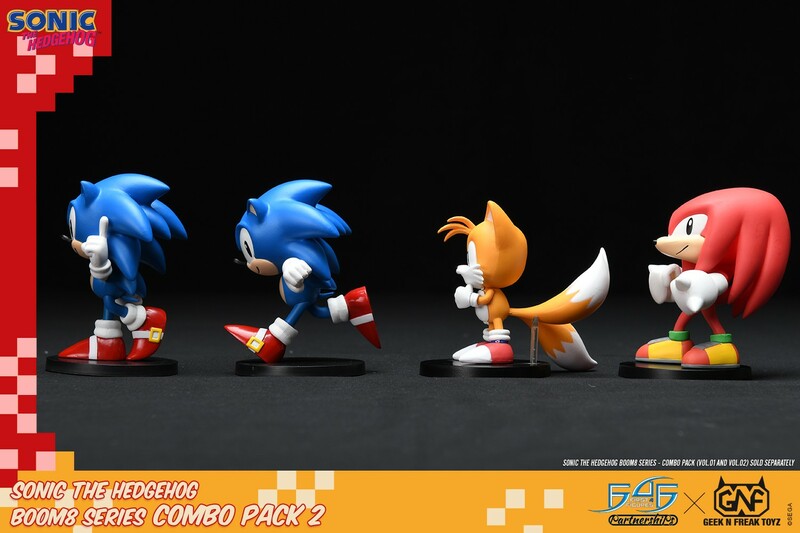 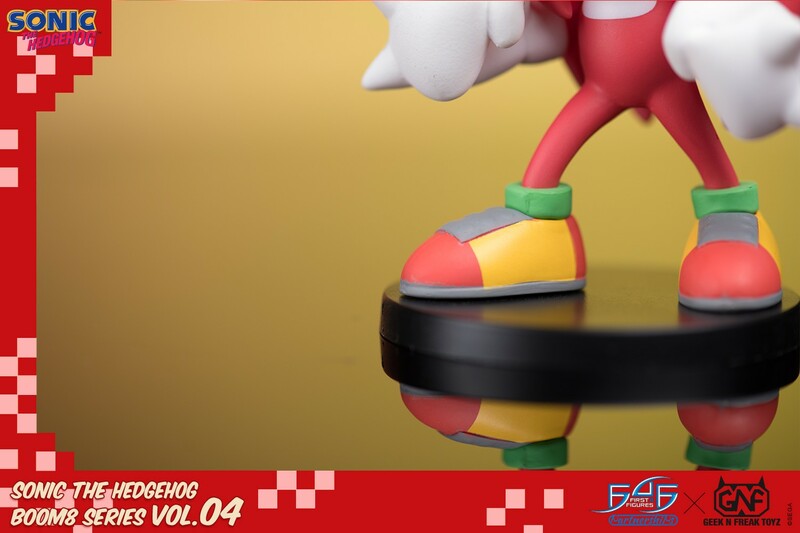 F4F Partnerships is proud to introduce GNF TOYZ, Sonic The Hedgehog Boom8 Series Combo Pack 2, which includes Vol 3 Tails and Vol 4 Knuckles PVC figures. 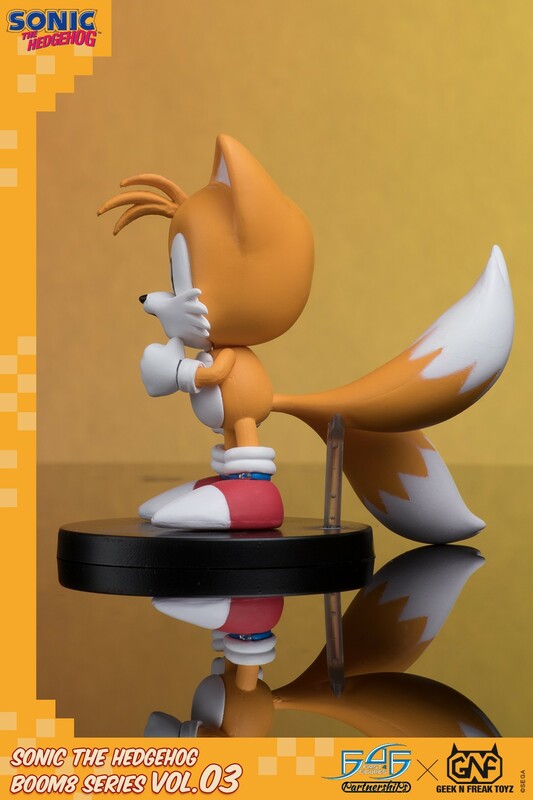 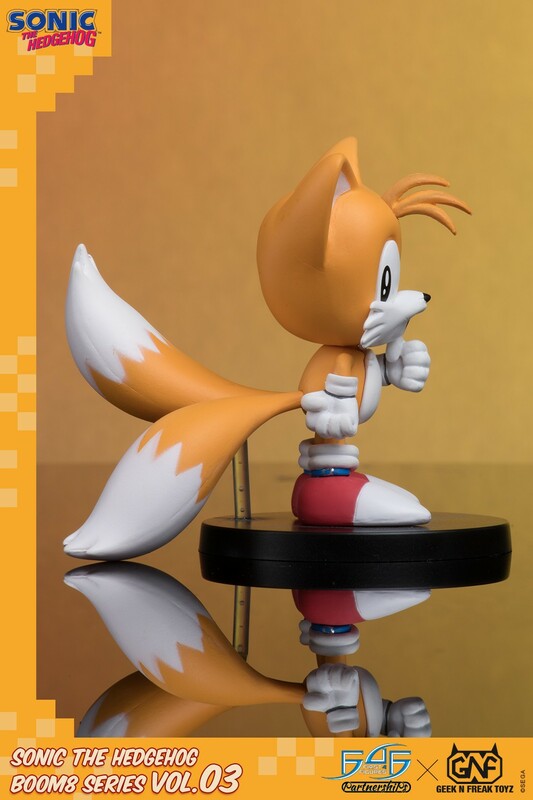 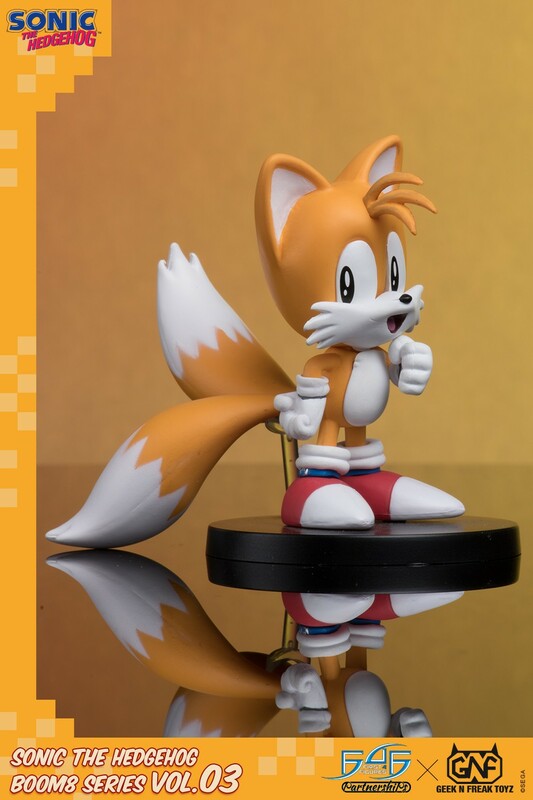 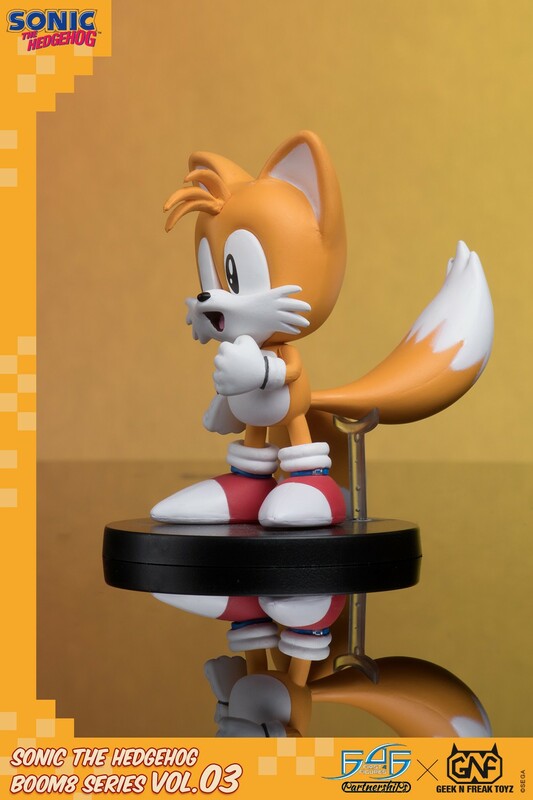 Tails is an anthropomorphic fox cub born exclusively with two twin-tails, hence his nickname. 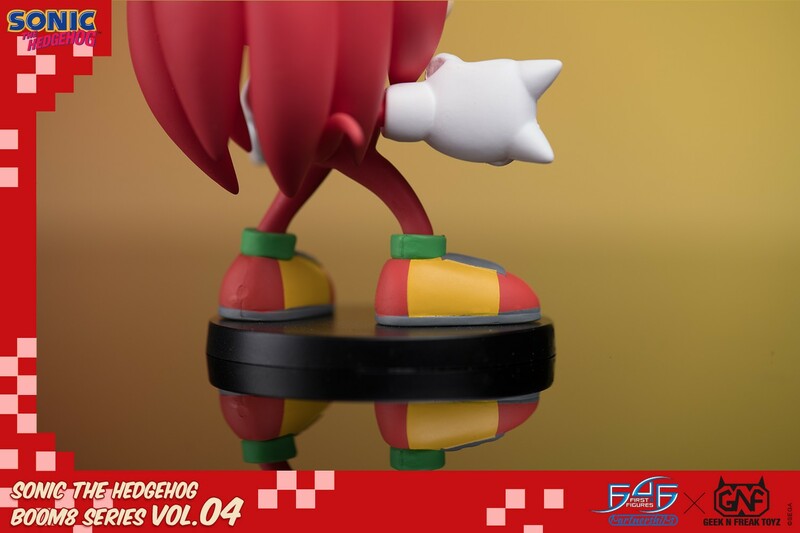 He is able to use his twin-tails to fly by rotating them like helicopter rotors which he helps Sonic on his adventures and has since become Sonic's best friend and sidekick. 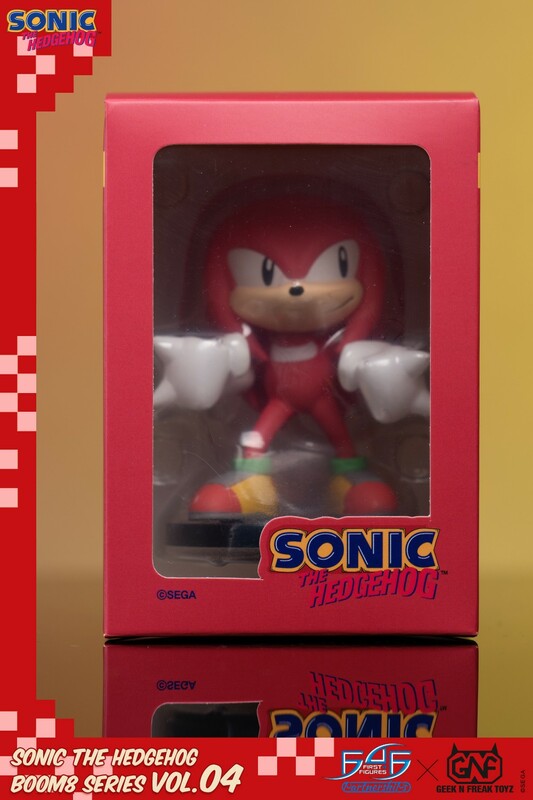 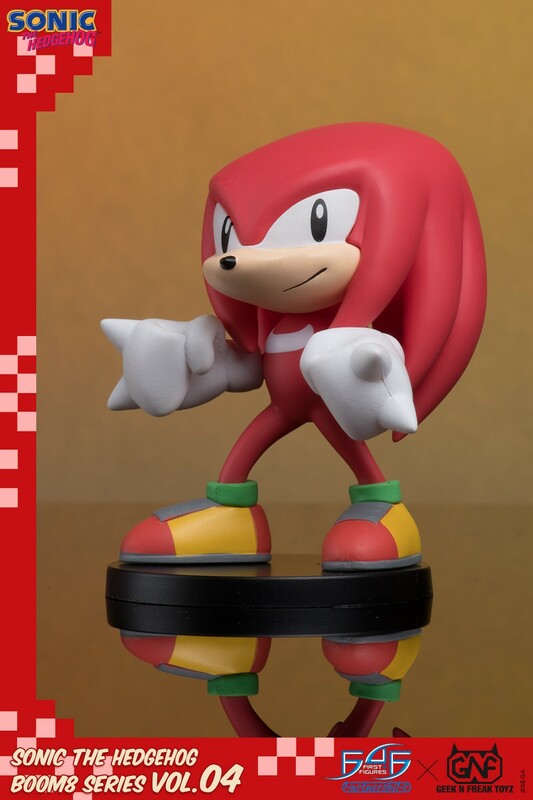 Knuckles is a red anthropomorphic echidna who is the last of the Knuckles clan and the last echidna on Earth. 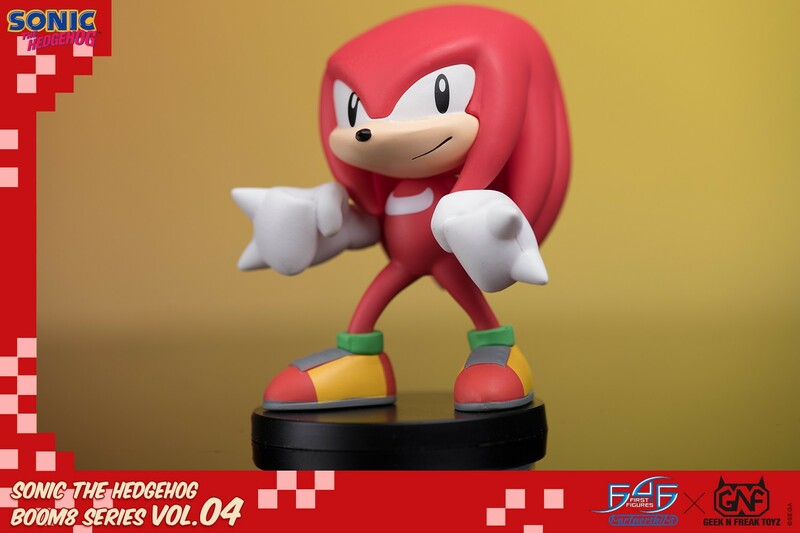 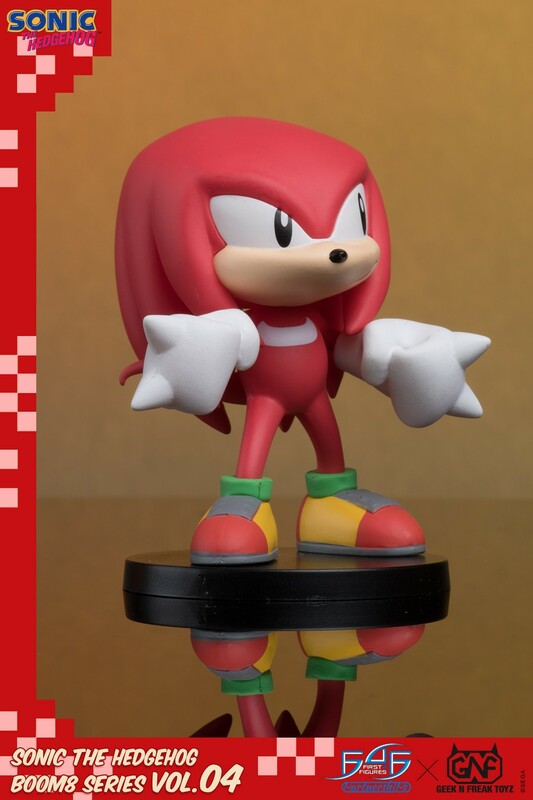 Knuckles has the ability to glide and climb up walls and a powerful fighter that makes him the guardian of the Master Emerald. 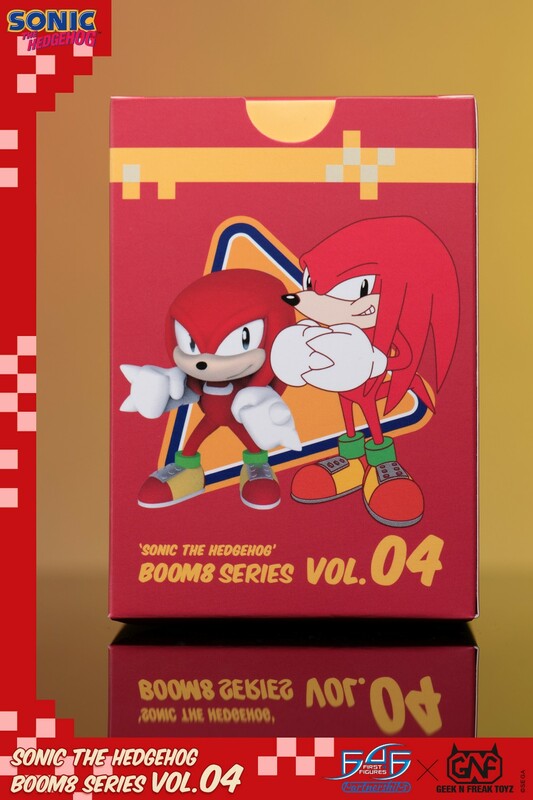 Boom8 Vol 4 - Knuckles in a battle-ready pose attached to a round black base. 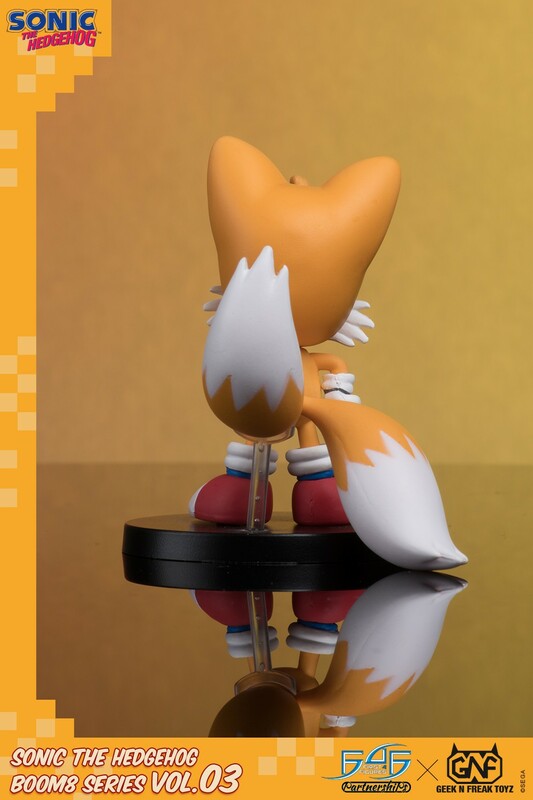 *Products may slightly vary from the picture sample.